New Durham captain Cameron Bancroft is a stronger and better person having gone through the furore which followed the ball-tampering scandal, according to the club's chief executive. The county appointed Bancroft as their new skipper earlier this week, almost exactly a year on from Australia's third Test against South Africa at Newlands, when the opening batsman admitted trying to alter the condition of the ball using sandpaper while he was fielding. 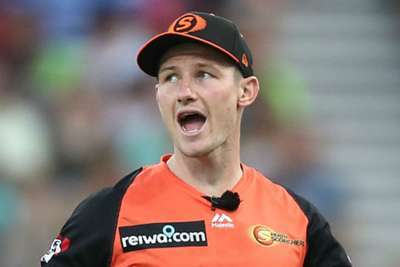 Bancroft was banned for nine months - while team-mates David Warner and Steve Smith were handed year-long suspensions - and the former only made his return in the Big Bash League for Perth Scorchers in December. He will spend the 2019 season with Durham and will lead the side in both the County Championship and One-Day Cup, with chief executive Tim Bostock adamant the 26-year-old is the right man for the role. "I was living in Australia and was there at the time, I witnessed the absolute outrage in Australia and the backlash, and what they put those three players through - media and also the Australian public," he told BBC Radio 5 Live. "It was fierce, but only for a relatively short space of time. Very quickly the Australians moved on to a period of forgiveness. "I think there was a cultural issue that was endemic within that particular set-up at the time and, unfortunately, Bancroft should have known better. "I'm sure he regrets absolutely making that mistake, but he was caught in that situation. "But he did it, and you're allowed to make mistakes, but you can also recover from mistakes, and I think he's a stronger person and a better person as a result. "He's the best available option [to be Durham captain], to be perfectly honest."